Nathan and Jessie Kimberly Paine were especially fond of roses, which have long been used in English heraldry, and gave them prominence in the plan for their version of an English country estate. Roses are selected for the garden based on their hardiness to this area’s climate, and they are complemented by a variety of perennials. 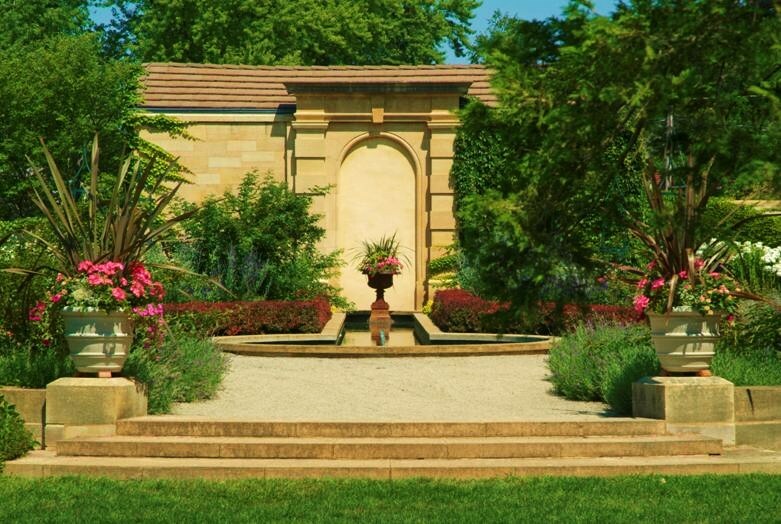 With a central reflecting pool, the garden is bordered with Barberry and Arborvitae hedges, and the façade of the Tool Shed provides an impressive backdrop.